Positano on the Gulf is a community of high-end condominium beachfront estates on the quiet side of Longboat Key, FL, on a location that housed an aging Holiday Inn that would be demolished. The Agency was hired to bring the new community to the market from the ground up. The Brand Architects had to overcome a challenge from Day One: The project faced scrutiny and doubt from the community likely because two other developers had tried to initiate projects on the same site but never had sufficient funding to follow through with plans. When Corvus International and BSG Development took over the project, the need to enhance the project’s image within this small but affluent community was essential. The developers wanted to do just that, while projecting its unique brand personality. Residences have three bedrooms, at least three baths, a two- or three-car garage, beachfront terraces and personal elevators. The two, first-level residences within each building have a private swimming pool and spa. Homes range in size from about 3,156 to 3,319 square feet of air-conditioned area. The community has a beachfront clubhouse with fitness center and social room; a heated swimming pool and spa; private lobbies; and a gatehouse staffed 24-hours. The estates are surrounded by gardens, lush landscaping and incredible views of the Gulf of Mexico, all in a style reminiscent of the Italian seaside. An event was planned for Realtors, associates and other invited guests to preview everything this project would offer to homebuyers. The theme was “Postcards from Positano,” with a series of four postcards sent inviting guests to the Longboat Key Club for a “trip back to Italy.” The banquet hall was decorated to re-create the Amalfi Coast, the inspiration for the condominium community, and caterers served traditional Italian fair. Floor-to-ceiling graphics were displayed, and Realtors received a direct marketing package to give to prospects. 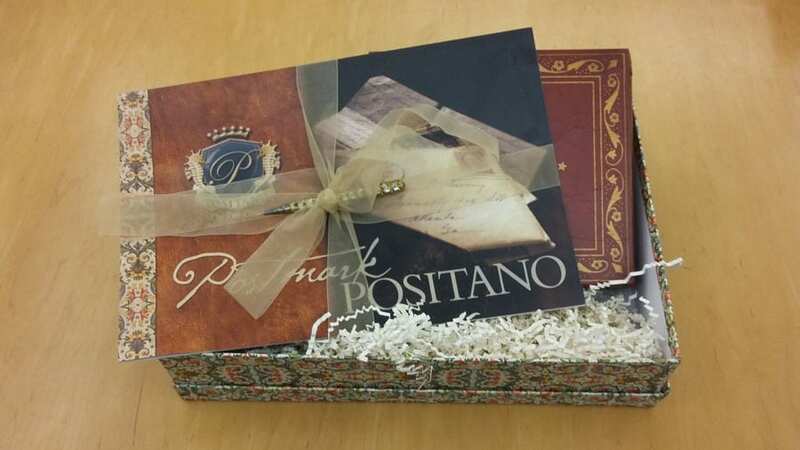 The “Positano Boxes” came direct from Positano, Italy, and included a photo album labeled with a “Positano on the Gulf “logo, an Italian-style writing desk, Cloisonné pen, postcards from Positano, Italy, and the community’s brochure detailing the features of the new development. A news release was sent in advance and members of the local media were personally invited. The event was a big success with more than 225 guests attending and fully engaged in the re-creation of a beautiful destination in Italy transported to Longboat Key! The developers proved to the Longboat Key real estate community that they would successfully undertake the project. The event was responsible for seven immediate sales, upwards of $3 million each, exceeding the client’s goal of selling five homes. Additionally, The Longboat Key Observer covered the event and positive media coverage followed. Overall the event had a positive effect on positioning the developers as a niche builder in the market while emphasizing the uniqueness of the product. Eleven of the 23 available residences were sold in the first 60 days of marketing the project.